Just as the excitement of Emory’s Commencement and Staff Fest begins to wane, the campus is once again gearing up for its summer schedule, when the University plays host to a lively lineup of camps, conferences, classes and events. From a national gathering of world-class harpists to Mellon Foundation scholars learning how to polish their research skills and camps for middle and high school debaters, this summer is brimming with campus activities catering to a variety of ages and interests. Coordinated through the Conference Services division of Campus Life, the busy schedule of summer events serves multiple purposes, according to Sherry Ebrahimi, director of University conference services and housing operations. Not only does it put University facilities to good use, offering a venue for select conferences and events that complement the University’s mission, the programs are also an opportunity for Emory to showcase the campus and its resources, catching the eye of prospective students, she says. This summer’s campus events schedule is expected to attract some 10,000 visitors. The events provide a stream of revenue while helping create jobs, keeping people employed throughout the summer months, Ebrahimi notes. UNCF/Mellon Program Summer Institute, June 1-30: The Mellon Foundation will host 42 African American undergraduate students interested in pursuing PhD programs to become college professors in the humanities, physics, mathematics, sociology, anthropology and other disciplines. Students from as far away as Cape Town, South Africa, will join students from Emory and other institutions as they sharpen their research, writing and presentation skills, with a focus on interdisciplinary research. Break Away: National Alternative Break Program, Alternative Break Citizenship School (ABCs), June 5-10: As a national alternative spring break umbrella organization for a network of over 200 member schools — including Emory — Break Away offers a resource to create meaningful volunteer and social advocacy opportunities for college students and recent graduates. Hosted in partnership with Emory, this program will focus on sexual violence prevention and response. EPiC Summer Experience, June 5-July 9: Offered through the Emory School of Medicine, the Emory Pipeline Collaborative (EPiC) science enrichment program offers high schools students from economically disadvantaged backgrounds a hands-on opportunity to engage in lectures, labs and field experiences and explore career opportunities in health professions. Emory National Debate Institute Summer Camps and Workshops, June 7-19: The Barkley Forum, Emory’s award-winning center for intercollegiate competitive debate and debate education, hosts a series of summer debate camps and workshops for middle school and high school students. Hundreds of students will work with Emory faculty and students to hone their skills. 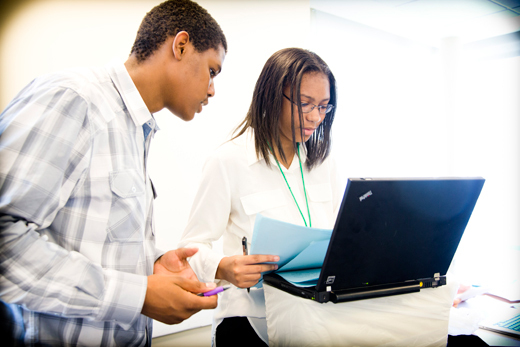 Youth About Business, June 12-17: A diverse group of 50-60 high school students from the Atlanta area and Southeast are invited to learn about the world of high-level corporate finance through merger and acquisition simulation camps. Students are advised by Goizueta Business School faculty and staff, alumni, Atlanta-area attorneys, accountants, and investment bankers and many other executives to understand these business transactions. 42nd American Harp Society National Conference, June 30-July 3: This biannual conference draws those who play, teach, study, research or simply enjoy the harp with world-class workshops, master classes, exhibits and concerts. The public may purchase tickets to attend concerts on Thursday, June 30, at 8 p.m. at the Schwartz Center of the Performing Arts; Friday, July 1, at 8 p.m. at the Glenn Memorial Chapel; and Saturday, July 2, at 8 p.m. at the Glenn Memorial Chapel. The Southern Foodways Alliance Oral History Workshop, July 10-15: Based at the University of Mississippi’s Center for the Study of Southern Culture, the Southern Foodways Alliance will host undergraduate and graduate students and other professionals on the Emory campus as they learn the fundamentals of taking and compiling oral histories, particularly as they relate to culture and food. LEAD Summer Global Institute Overview, July 10– 29: For the second year, Goizueta Business School has partnered to develop and host the LEAD Global Business Institute for 25 high school students from across the U.S. and Finland. The LEAD Program is an international cross-sector collaborative of premier U.S. corporations, government agencies, higher education and non-profit partnerships that focus on developing high-potential youth of diverse backgrounds into high achievers and responsible leaders.